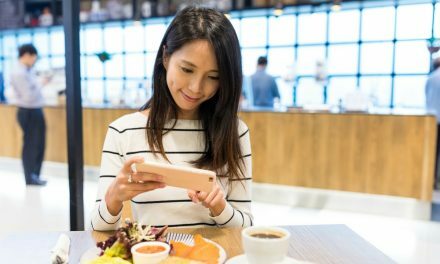 While Instagram has been popular for quite some time now, we can’t help but notice that it is becoming more and more of resource for dining and entertainment options. Restaurants and bars have all caught onto this, and are using Instagram as an outlet to market their businesses. Food pictures have been taking over our feeds, and photos of specialty cocktails are beginning to do so as well. Enjoying a delicious happy hour cocktail or a boozy brunch? Why not share it with the world! 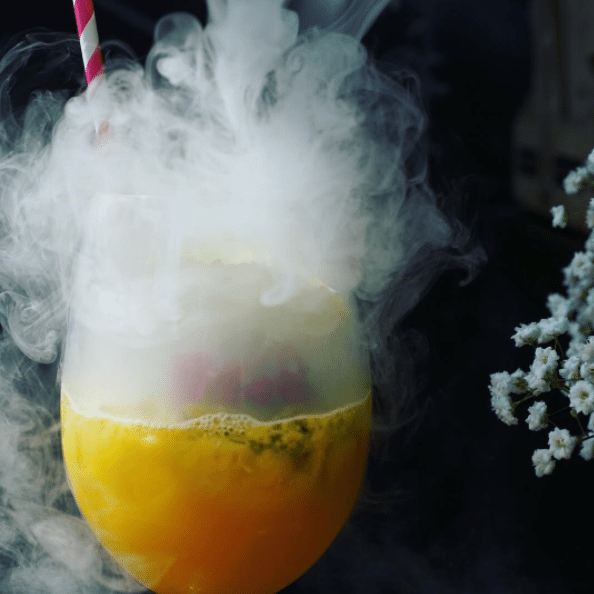 While there are countless D.C. bars serving up some truly Insta-worthy libations, read on to learn about some of our favorite and most Instagrammable cocktails in the District. Watch your drink come out smoking, and snap a picture before it’s too late. The Tiki Drink at Captain Gregory’s is a Japanese Influenced cocktail that is served steaming. The ingredients of the beverage can vary, as they like to experiment. Sake, tequila, rose syrup, and elderflower are just a few of their secret ingredients. Captain Gregory’s is a Speakeasy located in Arlington, and nearly all of their specialty cocktails would be worth posting to your Instagram feed. Brunch at 801 will give you the perfect opportunity to post a group picture and a D.C. cocktail picture, simultaneously. The Mega Mule is a Moscow Mule made with Owen’s Mule Mix, vodka, and lime, served in a massive copper mug. Throw in a couple of straws and share with friends – there is plenty to go around. 801 offers a Mega Paloma as well – Owen’s Mule Mix, Tequila, and lime. 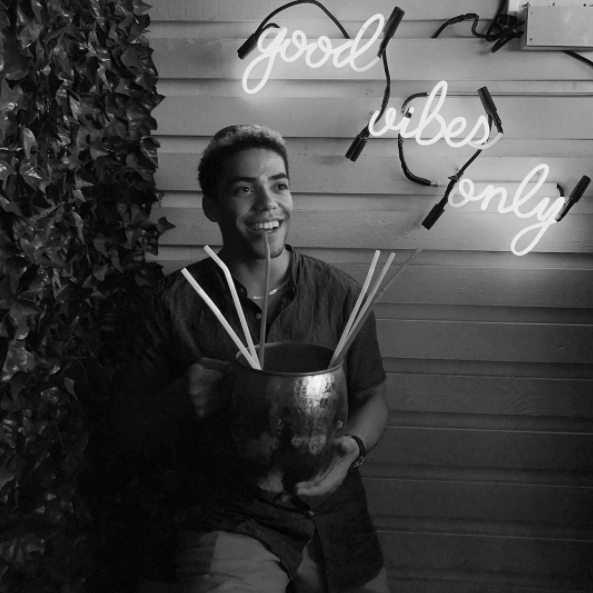 Your followers are sure to be jealous of your photo featuring the giant copper mugs, neon straws, and fun Sunday brunch vibes. 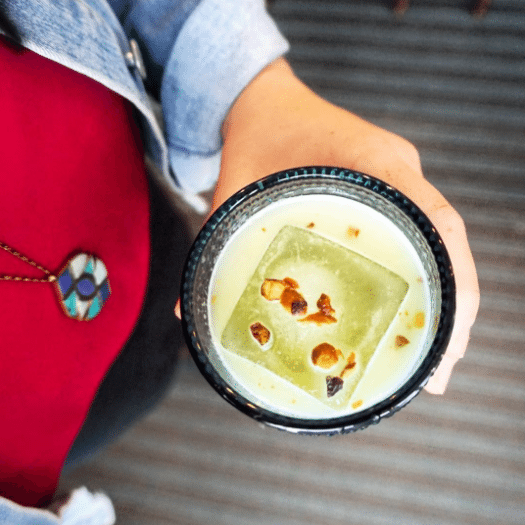 The Meli Fistiki from Zaytinya is a mouthwatering cocktail made up of Tsipouro, pistachio, honey, lemon, and orange blossom. The beverage is typically served in a short tumbler, so there is easy photo access in order to capture the perfect Instagram post. The Meli Fistiki photographs well next to any of the other Zaytinya cocktails. Zaytinya’s menu is influenced by Turkish, Greek, and Lebanese cuisine, including their specialty cocktails. Instagram a photo of anything from Zaytinya, and your followers will be running to try it out next. 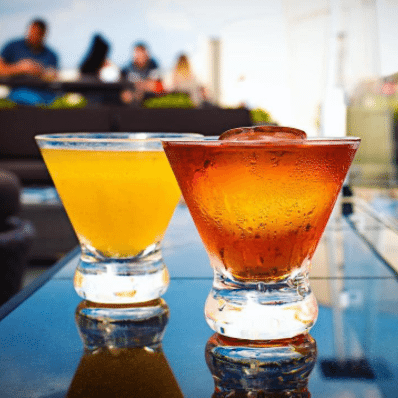 Essentially any cocktail ordered at Top of The Gate will be Instagrammable thanks to the incredible views at this DC rooftop bar and lounge. Sip on a specialty cocktail while enjoying 360-degree views of the Potomac River, the DC Skyline, and the Key and Arlington Bridges. One of our favorite drinks here that is well worth posting to Instagram is the Furiosa – chili infused Don Julio, lime, cane, and p.o.m. Both the drinks and the views here are hard to beat. DC’s Columbia Room is a specialty bar that serves both classic and original cocktails. 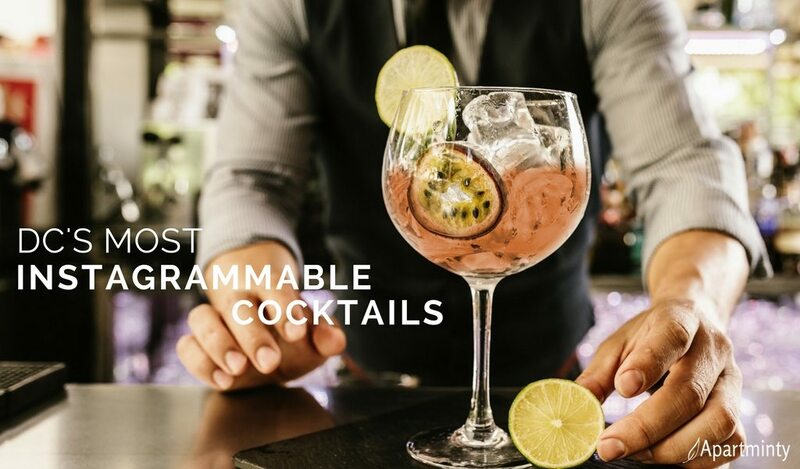 With awards such as Best American Cocktail Bar, and 2017 Spirited Awards, you can guarantee that the drinks will be both delicious and Instagram worthy. Schooner Rather than Later is made up of Japanese whisky, lime, gunpowder tea, cane sugar, green chartreuse, and sea foam. 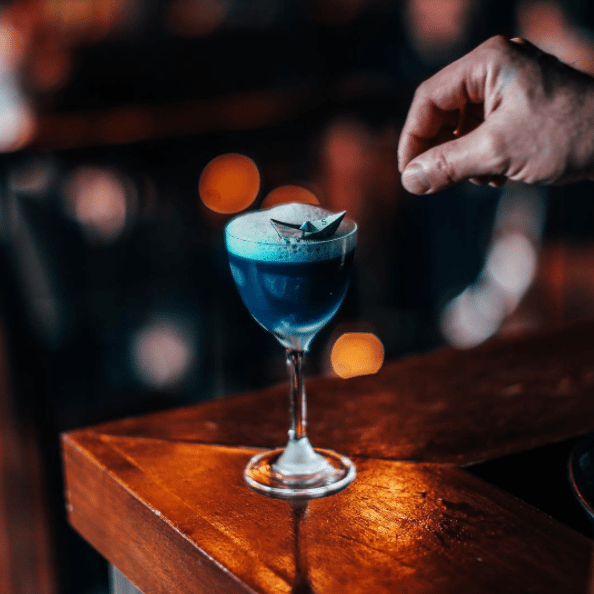 The drink comes out a beautiful blue color with white foam on the top – so delicious you will be asking for a second round! NextAsk The Apartment Experts: How Do I Break My Lease?